One of mine and my kids favorite indulgences are Rice Krispie Treats. But have you ever tried to make them with Kellogg’s Corn Flakes? Very similar, just a difference consistency, equally yummy! 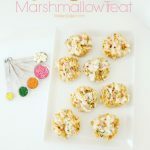 I made these Sprinkled Corn Flakes Marshmallow Treat for a recent family activity at home. I like to add chocolate chips, sprinkles, or other mix ins to make treats more fun. This time I added some white chocolate chips and colorful sprinkles! My kids love anything with sprinkles in it. Looks so springy, doesn’t it? 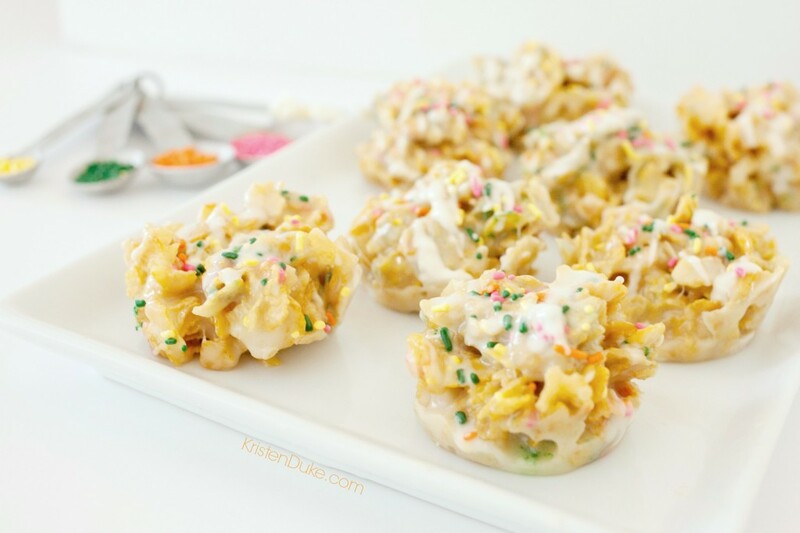 Kellogg’s Corn Flakes, Sprinkles, and marshmallows make the perfect pairings for deliciousness! I placed them into a muffin tin so I wouldn’t have to mess with cutting them later. I think it’s the perfect little size! 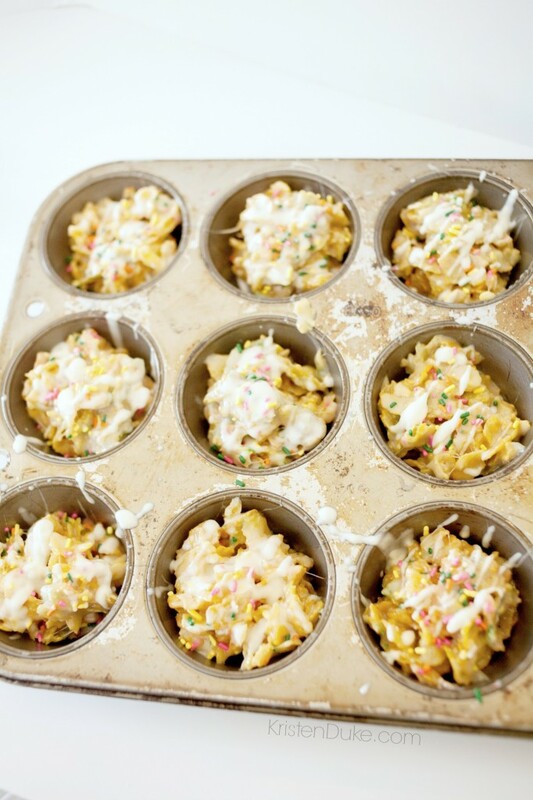 All you need for this recipe is: Kellogg’s Corn Flakes (6 cups), (2) 10 oz. bags of small marshmallows, 1/2 white chocolate chips, sprinkles in assortment, 1 stick butter. Easy! This makes 18 circles this size. This is a simple variation to the Corn Flake Christmas Tree Wreath I make for friends at the holidays. Add marshmallows and cook 1-2 minutes, stirring at 1 minute. Drizzle white chocolate on top if desired. 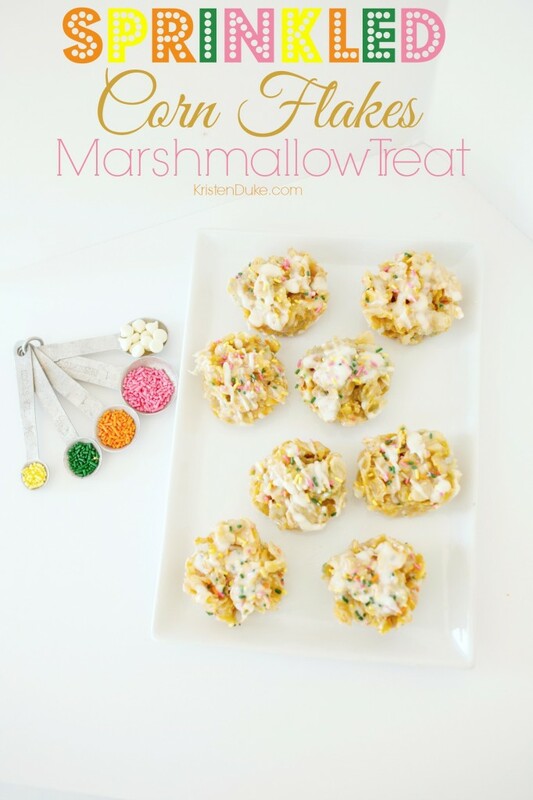 Kellogg’s Corn Flakes, sprinkles, and marshmallows make this a perfect pairing! Disclaimer: Compensation was provided by Kellogg’s via Glam Media. The opinions expressed are 100% mine, and not the opinions or positions of Kellogg’s. Kellogg’s® believes that From Great Starts Come Great Things®. So we’re helping Moms start every day with a tip from the top athletes of Team Kellogg’s™and Team USA dietitians. The thirty days leading up to the Sochi 2014 Olympic Winter Games will each feature fun pieces of advice to help families fuel just like the athletes of Team Kellogg’s. 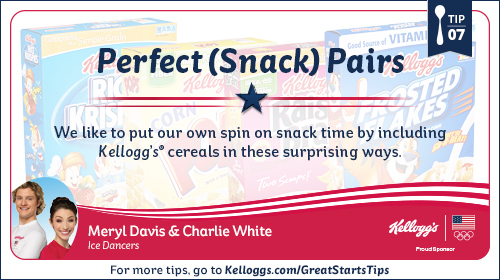 To see all 30 tips, visit Kelloggs.com/GreatStartsTips.